History or "How to be a talk show host"
Since March, 2001 Lloyd Sloan has been heard on WGNU, where he is known as "The Sloan Ranger." 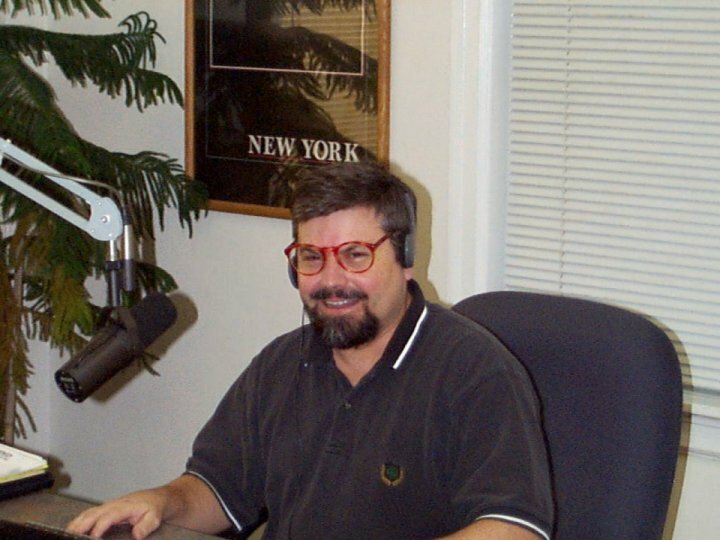 Lloyd says, "I had guest host trial evaluations: Monday, 26 February 2001 and Monday, 5 March 2001 On Thursday that week (March 8th) I got the call from John Minicke asking if I could do the Tuesday night 7:00 pm slot. I said, "sure-- when do I start?" He said, "next Tuesday of course." On Tuesday, 13 March 2001 I did my first show. (Beware the Ides of March)"
"A fiery voice with the speed of light a cloud of talk and a hearty "hi, yo caller!" -- with his faithful broadcast companion "mikey" the daring and resourceful masked debater of the airwaves leads the fight against taxes & boredom in the body politic. Join with us now for those thrilling hours of arguments. The Sloan Ranger talks again!" When asked to label his views, Mr. Sloan answers, "I am a jeffersonian whig". Mr. Sloan has created a hypertext application of The Writings of Thomas Jefferson. He has run for Congress, published a newspaper, authored Top Ten lists, programmed Oracle stored procedures, and taught college mathematics. He is a graduate of Harvard College. How did I become a talk show host? First, I like talk radio and arguing. I took a dare from a friend. "this man will make a great talk show host." Two Monday air tests. "don't call us, we'll call you." What sort of skills & training do I have? What's it like to be a celebrity? What's it like on the air? Is it fun? What are my favorite moments? The first night. Censored! Scared amateur. I am not even myself. I call myself a "Whig"
"Can you solve a quadratic equation?" "have you notified the federation about this?" WGNU Christmas party. I meet some callers.